The Positive Injection Pump (PIP) provides the user with a safe and reliable system for directing aerosol from a Thermal or Laskin Nozzle Generator through a tube into the injection point. Speed control allows for regulation of the discharge velocity, which is essential when introducing aerosol through apertures of various size. 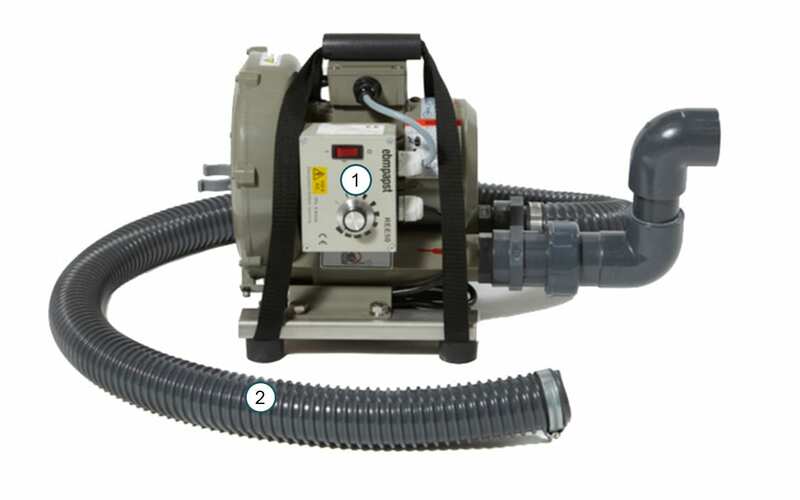 The Positive Injection Pump (PIP) with adjustable swan neck inlet works best with the ATI family of aerosol generators. 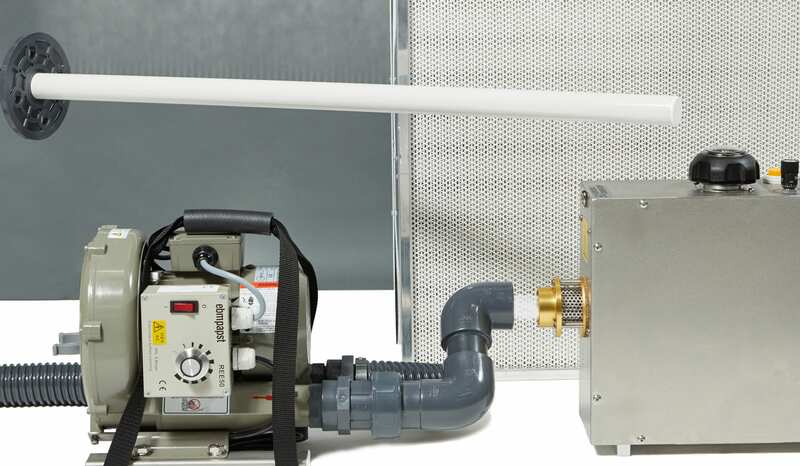 PIP Power provides enhanced mixing by injecting against or across the normal system airflow. Aerosol is drawn into the PIP under vacuum so no need for a physical connection!